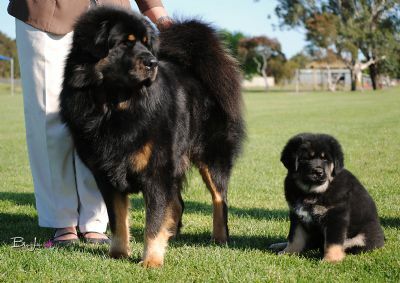 We are very proud of our Temzin bred boy, GR CH Temzin Black Sky Fusion, otherwise known as Fuso. 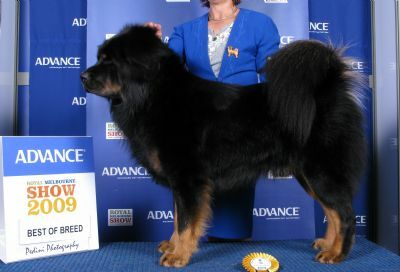 Fuso has won multiple Best Exhibit in Group and Best In Show awards during his impressive show career. 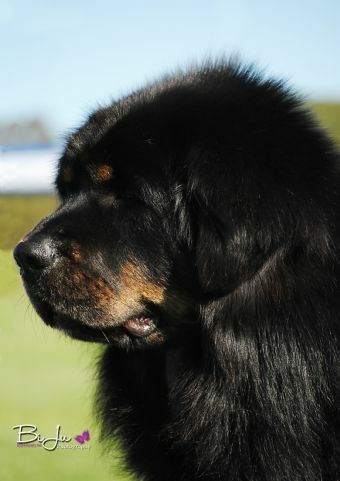 He has impressed many judges throughout his show career with his strong, correct conformation, his wonderful temperament (for a TM) and his luxurious pitch black coat which is complimented by his rich tan markings and his long thick mane. We are proud to announce that as of 7th March 2011 Fuso has earned the coveted title of Australian GRAND CHAMPION. A title that has recently been made more difficult to achieve thus making it even more prestigious.